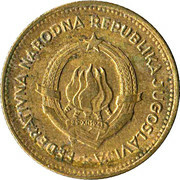 Former name of the country, Federal People's Republic of Yugoslavia, around coat of arms (1943 - 1963 version; 5 torches). 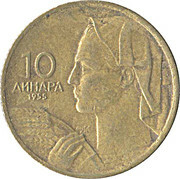 Woman holding a sheaf of wheat. 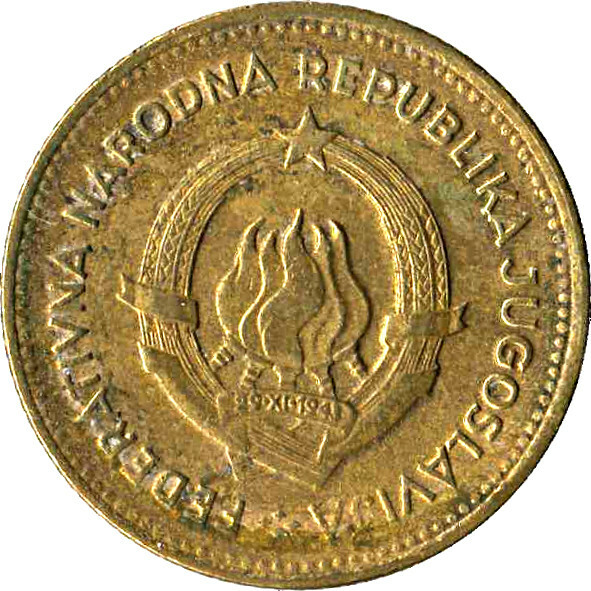 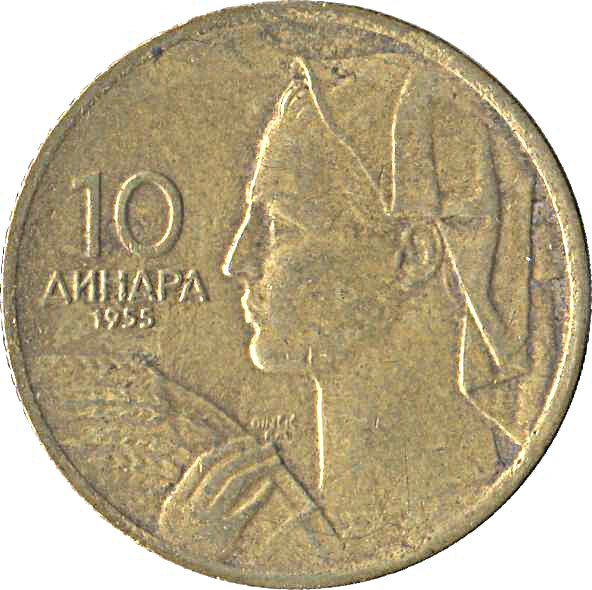 Some coins are missing the "DINČIĆ FM" inscription.